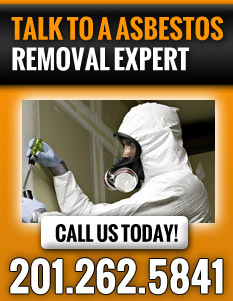 It is imperative that you get rid of all the asbestos in your commercial and residential buildings. At A. Mac Contracting, we are an asbestos removal company offering safe, efficient and reliable asbestos removal in NJ and NY. Asbestos used to be a great insulation material until late 19th century when its deadly health effects came to light. With continued exposure, one is likely to get serious illnesses such as lung cancer, asbestosis and mesothelioma and this is why asbestos removal in NJ and NY is important. Apart from asbestos removal in NJ and NY, we also offer other related services aimed at making your structures safe for human occupation. These include: asbestos testing, inspection surveys, mold removal, environmental services and demolitions. Asbestos removal in NJ and NY is a very dangerous job and it must exclusively be left to experts, authorized by law to conduct such activities. Our team comprises of well trained and certified asbestos experts, therefore, you can rely on us for safe and expedite asbestos removal in NJ and NY. If you are using a building that was built or you suspect has been in existence before 1986, then you have every reason to test for asbestos in the wall, tiles and the ceilings. All you have to do is to give us a call so that we conduct the necessary tests and carry out appropriate asbestos removal in NJ and NY if you find even the smallest traces in your structure. Don’t be like the ignorant ones who don’t realize the grave importance of asbestos removal in NJ and NY. We are here to help and we will if only you give us a call.